Psalm 51:7-12 – Purge me with hyssop, and I shall be clean; wash me, and I shall be whiter than snow. 8 Let me hear joy and gladness; let the bones that you have broken rejoice. 9 Hide your face from my sins, and blot out all my iniquities. 10 Create in me a clean heart, O God, and renew a right spirit within me. 11 Cast me not away from your presence, and take not your Holy Spirit from me. 12 Restore to me the joy of your salvation, and uphold me with a willing spirit. 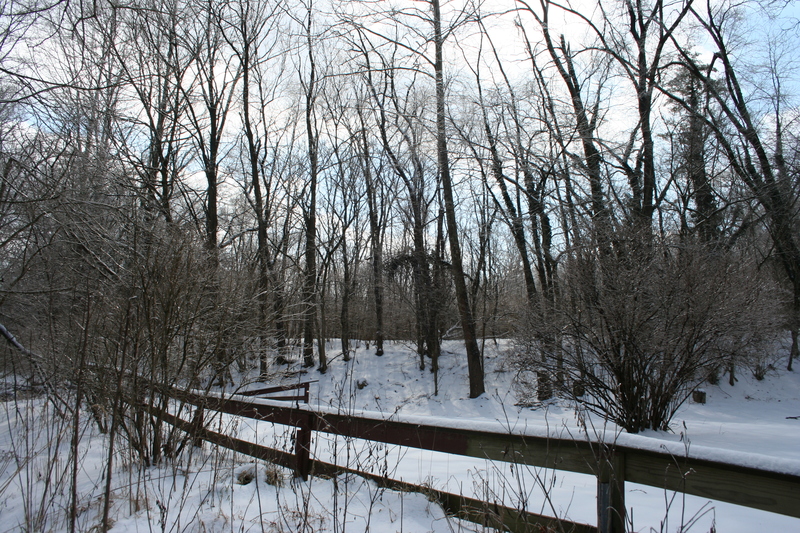 Freshly fallen snow along a fence line near the Carl A. Rahe Access. Little Miami State Park, Foster, Ohio. While this photo is not from the winter storm that has blanketed us with snow here in southwestern Ohio today, I felt a winter theme was definitely in order for today’s post. I hope to get out and add a few nice winter photos to my “portfolio” tomorrow. The amazing thing about photography is that we can capture a moment in time and preserve it, allowing it to be appreciated for years to come. What I find even more amazing, though, is that our God, the omnipotent, omniscient, omnipresent Creator of the universe, does not see our sins like the photographs in an old family album. Fortunately for us, through the blood shed by our Lord and Savior Jesus Christ, God has blotted out all our iniquities and removed the stain of sin from our lives. Through Christ’s blood we have been washed clean and can rejoice knowing that we have been made whiter than snow! This entry was posted in God is Revealed... and tagged Carl A. Rahe Access, Foster Ohio, God, Holy Spirit, Jesus, Little Miami River, Little Miami Scenic Trail, Little Miami State Park, Ohio, Ohio State Parks, Psalm 51, Snow, Winter, Winter storm by Todd D. Nystrom. Bookmark the permalink.